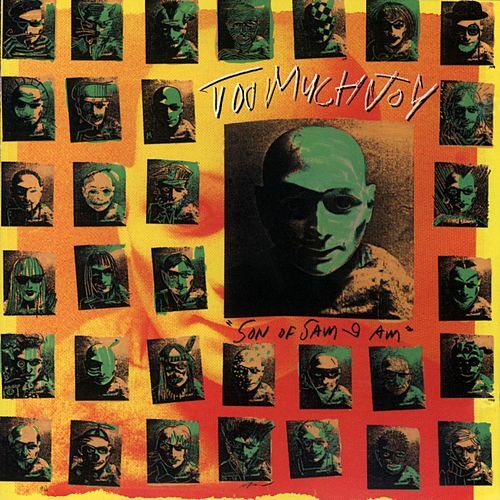 TMJ’s second album, originally released by an SF-based indie label called Alias in 1989 , then picked up by Giant/Warner and re-released with a couple changes in 1990. This is the Giant version, which adds two extra tracks (“If I Was a Mekon” and a studio recording of concert-staple “Seasons in the Sun”), replaces the vinyl version of “That’s a Lie” with a beefier remix of same, and snips out a sample that had elicited a threatening letter from lawyers for Bozo the Clown (the offending sample was taken from an old Bozo LP, on which he says, “Then I found something in one of my pockets. It was about as big as your shoe, and shaped like a rocket;” and was used, appropriately, we think, to introduce the song “Clowns,” which is about how weird and evil clowns are). Since this one belongs to Giant/Warner, we can’t sell it to you, but we can provide helpful links to the major digital retailers (note: Tim would prefer you buy it from Rhapsody, if you’re tempted to click below).